Description - Endurance Center Drive elliptical trainers are the perfect blend of research, engineering, performance, and technology. Patented technologies have been applied to provide a stable, space-efficient platform to perform rigorous low impact full body workouts. The combination of a natural stride, quality manufacturing, and superior programming have created the latest evolution in cardio training. The E5000 uses an internal generator eliminating any power requirement. Designed for extreme durability, the E5000 offers a commercial warranty. Dimensions (L x W x H) 68" x 31" x 69"
The E5000 offers various program modes including a Quick-Start Mode, 6 Preset Program Modes, 5 HRC (Heart Rate Control) Programs, and two User Profile Modes. RANDOM: This program randomly generates a new program profile every time it is chosen. This allows you to keep the workouts fresh and motivating. When you scroll thru the programs to reach the RANDOM program, you will be able to see the program profile. If this profile is not to your liking, simply scroll thru the programs again and a new RANDOM program will be generated. The RANDOM program will be different every time you use it. INTERVA: This program simulates interval training thru a series of two hill profiles. Recommended For - Body-Solid's Endurance E5000 Premium Elliptical Trainer is the perfect low impact machine for any home or commerical gym. Body-Solid's Endurance E5000 Premium Elliptical Trainer offers a wide range of programs that will help you burn fat in varied ways. The different program modes are Mountain, Hill, Random, Interval Speed Training, Interval, and Interval Mountain. There is also a Quick Start mode. 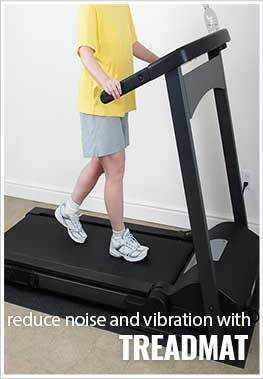 With all of these different modes, there is no need to turn your new elliptical into a clothes hanger. The best way to track how well a workout is is by tracking your heart rate. With Body-Solid's Endurance E5000 Premium Elliptical Trainer, you will be able to control and track your heart rate at different levels. These different heart controls are Target Heart Rate, Heart Rate Cardio 80% Heart Rate Fate Burn 65% Heart Rate Hill 65-85% and Heart Rate Interval 65-85%. Body-Solid's Endurance E500 Premium Elliptical Trainer display features a 2-window color LED display with easy-to-use functional buttons and program controls. This display has a message windo, a profile window, a lap display, and different program modes. Body-Solid's Endurance E5000 Premium Elliptical Trainer is a commercial rated elliptical and features the following warranty for both commercial and residential use. 15 years on the frame, 3 years on the parts, 2 years on the electronics (excludes batteries), 6 months on the wear items, and 1 year on labor. For residential use, there is a lifetime warranty on the frame, 5 years on the parts, 2 years on the electronics (excludes batteries), 6 months on wear items, and 1 year on labor.